Protection of Product Shapes Remains Difficult in the EU - Gottlieb, Rackman & Reisman, P.C. 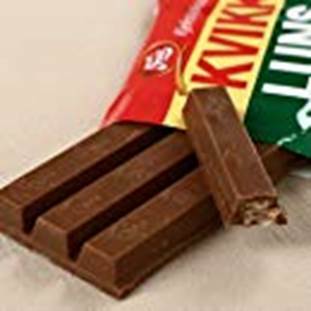 We chocoholics in the U.S. surely recognize the three-dimensional shape of a chocolate-covered wafer bar confection having the form of two or four trapezoidal fingers as a “Kit Kat®” chocolate bar, even if it seems that the shape is not registered as a trademark in the U.S. After all, the product is sold globally and has been sold in Britain since 1935, albeit under a different brand name initially. Although it first filed to register its rights in the shape in 2002 for “Sweets; bakery products; pastries; biscuits; cakes; waffles,” Nestle did not obtain a registration until 2006 after it made a showing of acquired distinctiveness before the European Union Intellectual Property Office (EUIPO, then OHIM) to get the registration. Like in the U.S., product shapes are not inherently distinctive and acquired distinctiveness must be shown. The EUIPO refused to expunge the registration because it was of the view that the shape had acquired distinctive character through the use that had been made of it in the EU. Mondelez continued its challenge and in 2016 prevailed in the General Court of the EU, which ordered the EUIPO to annul its decision. It considered that the EUIPO erred in law in finding that the mark at issue had acquired distinctive character through use in the EU, when use had only been proven for part of the territory of the EU, namely only in Denmark, Germany, Spain, France, Italy, the Netherlands, Austria, Finland, Sweden, and the UK. The General Court said Nestle also had to show distinctiveness in Belgium, Ireland, Greece and Portugal. The story goes that the Kit KAT ® “chocolate crisp” confection was invented to make it more affordable for the working man, and that the wafer was added to “fill” the product and keep the price below that of a solid chocolate bar. The wafer took on a life of its own and changed the sensory experience from one of eating chocolate to one of eating a chocolate wafer cookie, and so its popularity grew and grew. Billions of bars are made and consumed each year. Who knew that so many legal dollars would be spent to protect and defend against a “more affordable” shape?